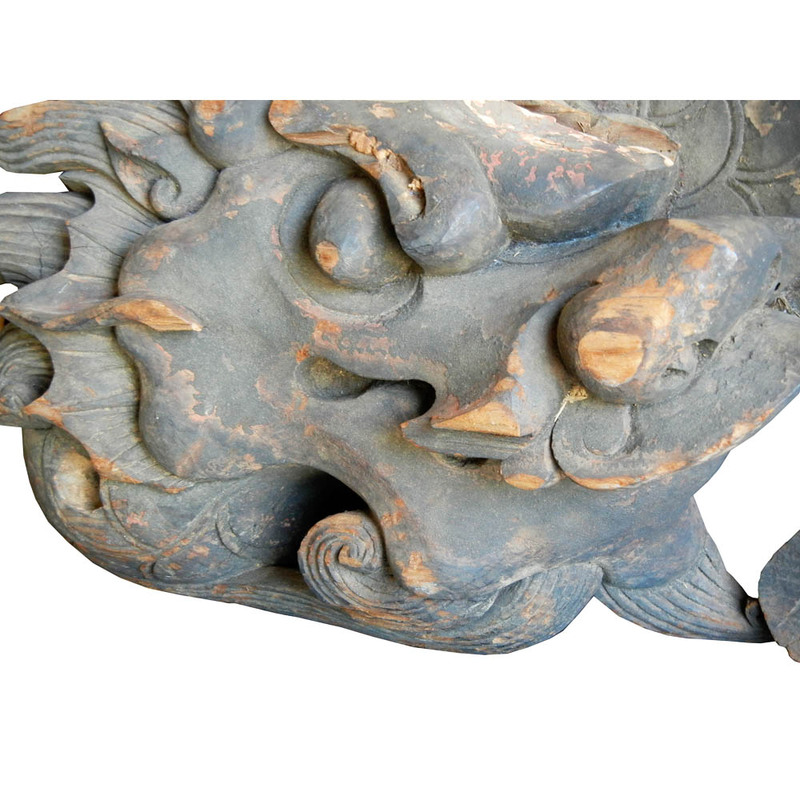 A medium size 17-18th century antique Chinese architectural carving of a wonderful scaled dragon with what looks like a fish tail in original finish with a great expression and composition showing layered visual effect, as-is. It is said that there were nine dragons who were nine sons of the sun. 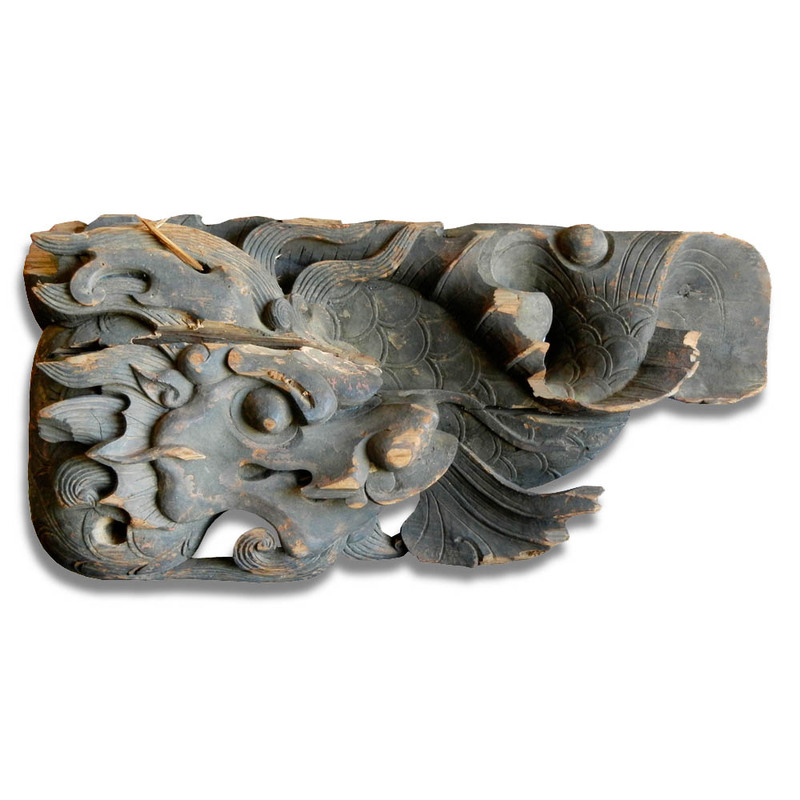 The dragon with scales was originally said to be a water dragon who could command rain and water.